Unity Morturary presented Anderson County Alternative School with a generous donation to assist with activities at our school. On January 10th, 2017, Mr. Randolph Dillingham and Sgt. Rodney McCullough were invited by the National Dropout Prevention Center/Network at Clemson University to take part in a webcast showcasing ACAS. We are very proud to participate with such an important community working toward drop-out prevention. Among the topics discussed were: involving communities in the school, providing wraparound counseling services, modeling expected behaviors, and breaking the pattern of self-limiting behaviors. If you would like to watch the webcast, please click on the link below. Emergency Situations Parent Information: The following document is for parents and guardians in case of an emergency at Anderson County Alternative School. School and Childcare Exclusion List: This brochure lists the illnesses for which a child must be kept out of school or childcare. It tells you if your child needs a doctor's note or medical treatment to come back to school or childcare after certain illnesses. Click on the icon below to access the brochure. Please review the student handbook for important dates, an understanding of our school philosophy and procedures, as well as contact information for communicating with your child’s teachers. In order for all of our students to be successful, we believe it is vital to have open communication between home and school. If you have a question or concern, please don’t hesitate to call or email school personnel. Wish to learn more about your child’s teachers? Visit their classroom webpages! You can do this by using the drop-down menu, Classroom Pages, at the top of our school’s website. 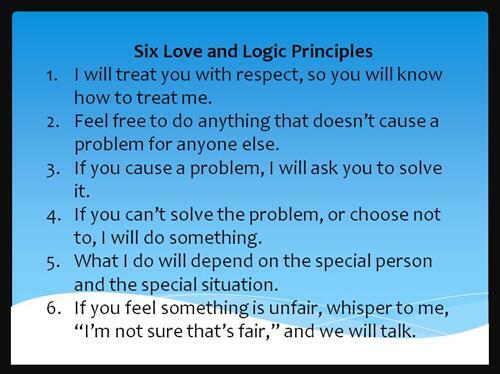 Don’t forget to memorize your Six Love and Logic Principles and The Four Promises…you never know when the next pop quiz will happen! We are always looking for next month’s student of the month candidates! Any staff member at ACAS can make a nomination.